THE winner of this year’s Crufts dog show has blasted PETA for ruining her big moment. Yvette Short, 52, rushed her two-year-old whippet Tease to safety when activists breached security and disrupted the prize giving. 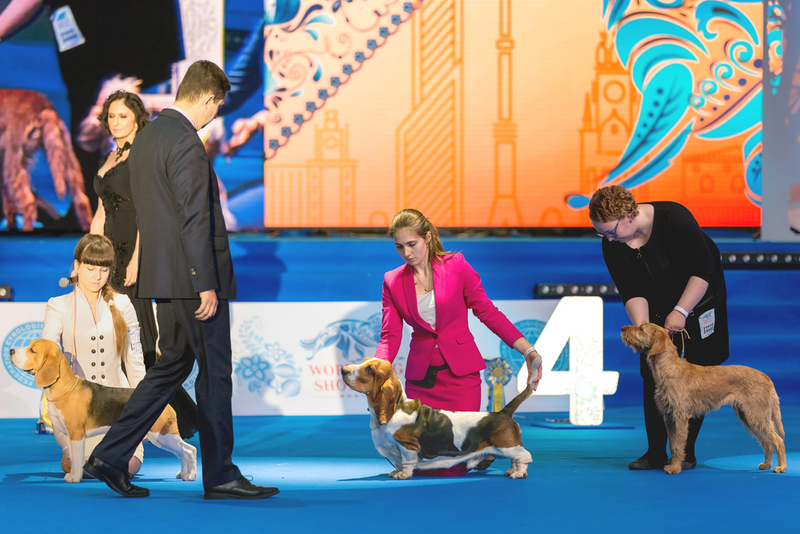 The two activists were wrestled to the ground by security guards as they unfurled banners reading “Crufts: Canine Eugenics” which Peta said was the deliberate breeding of dogs to have exaggerated features. Millions of viewers witnessed the ugly scenes live on TV from the NEC Arena in Birmingham, UK. Yvette and Tease were about to be awarded with prestigious Best in Show prize when the drama unfolded. Crufts and the NEC Group said they would review security procedures as “a matter of urgency” as the scare had frightened the dogs and risked their safety as well as that of their owners. PETA confirmed the intruders are members of its Vegan Strike Group which bills itself as fighters against animal abuse. Elisa Allen, Peta UK director, said: “PETA urges everyone to stay away from this cruel beauty pageant. Despite PETA ruining the show, winner Yvette said she still enjoyed the event.